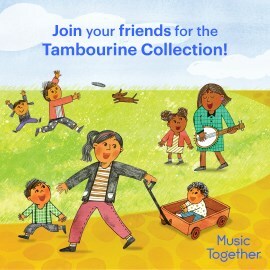 Music Together® classes in Bernards Twp & Morristown! 9-week Spring session starts April 1st! Fun. Fabulous. Uplifting. Magical. These are just a few ways parents describe Music Together. Each week, babies, toddlers, preschoolers, and kindergartners -- and the grownups who love them! -- gather to make music as a community. Our early childhood music classes give families with children from birth through age 5 the chance to get in touch with their inner musician and connect with other families. We're on a mission to make the world a better place by making it more musical. And you can be part of it by joining one of our music classes! “Hello Song” Copyright ©1987 Music Together LLC. All rights reserved. Sound clip used by permission of the copyright holder. Enroll NOW for spring, which starts April 1st! Click "Register" to sign up for the new session! Have a baby under 9 months? Join the special Babies Class! Mondays or Fridays at 11:15 in Morristown.